Drainage Superstore is pleased to bring you a comprehensive and low-priced range of milled lead products including everything from lead rolls in different codes, to lead alternatives. 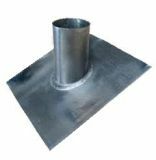 Our drainage customer service team are fully trained on the ins and outs of lead and the requirements you have of it, so they’re perfectly placed to help you with your queries or to suggest accessories requires. 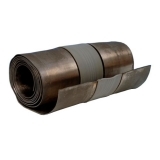 Contact us via our live chat in the bottom right corner or you can call us on 01752 692221. 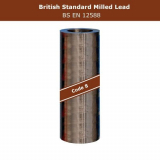 You can find a fantastic selection of high quality, milled lead flashing in thicknesses from code 3 all the way up to code 8. 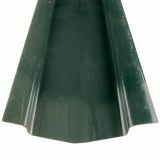 Whether you are repairing the roof on a residential property or tackling a large-scale commercial development, you can purchase lead flashing for every application here. Our partner and main supplier, Calder, can deliver direct to your site at a fixed rate, no matter what quantities are involved. 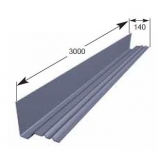 Because all of the rolled lead sheets that we supply have been fabricated in accordance with British and European standard BS EN 12588, you can be sure that their chemical composition, thickness deviation and environmental management conforms with all relevant regulations and that they are fit for purpose. 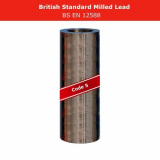 All lead codes are available in lengths of 3m and 6m to save you time and make installation that bit quicker. 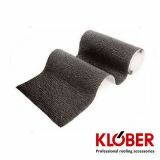 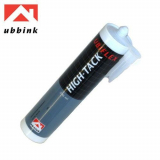 Lead alternatives from Drainage Superstore come from leading manufacturers such as Ubiflex, Klober and Deks. 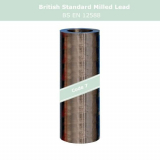 With all the pleasing aesthetic qualities of lead, they have become increasingly popular in a bid to reduce lead theft and save on costs. 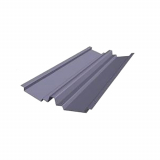 Lead alternatives also have varying colour options like terracotta, black, and anthracite grey. 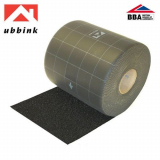 Extreme flexibility and the lighter weight of lead alternative products are proving a hit with contractors and installers, especially when you consider that there’s less wastage as aprons are applicable up to 12m long without seams or expansion joints. 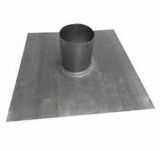 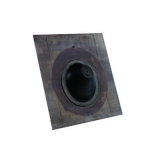 In addition to our range of top quality milled lead supplies, we carry a wide selection of accessories and fixings: everything you need to effect repairs on existing roofs or to build new ones from scratch. 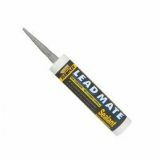 As with all of the products you will find for sale in our online superstore, the lead and accessories featured in this section are all competitively priced and manufactured to exceptionally high standards. 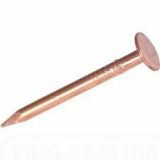 From brass screws and copper nails, to lead flashing clips and stainless steel fixing strips, we have everything you may require for your next roofing project. 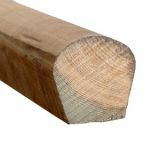 We supply individuals and building contractors in all areas so wherever you are based and whatever quantities you require, we are sure to be able to fill your order at a very attractive price.